As quantum optics researchers attempt to push the boundaries of experimental physics, the limitations of each component of their systems are engineered away. Researchers have worked for many years to increase the efficiency of their low-light quantum sources and decrease the losses in their optical components. These losses have now become lower than the losses of the commercially available detectors which means the available detectors are now limiting or preventing many cutting-edge research experiments. Researchers are now seeking alternative detector technologies, even those that are costly, because of the strong scientific impetus for low-loss photon detection. 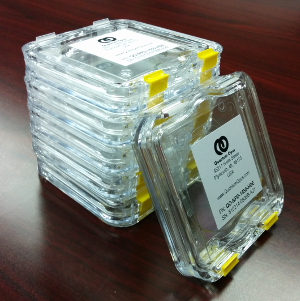 Quantum Opus provides researchers with the needed low-loss, high-speed photon detectors that will enable next-generation experiments in quantum optics, optical quantum computation, single-photon communication, low-flux biophotonics, and remote sensing. 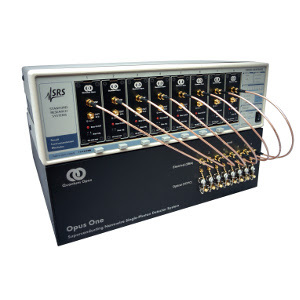 The Opus One™ detection system comes complete with customized compact desktop cryostat (up to 16 nanowire detectors preinstalled along with all electrical wiring in/out of cryostat), optics-lab-friendly water-cooled compressor (low air circulation, low noise, low heat output), bias and high-speed amplifier electronics, and easy-to-use software control libraries. Proprietary nanowire materials allow nanowire operation at > 2 K, reducing cryogenic system complexity and allow the system to operate continuously for ~3 yrs without interruption or recharge. Quantum Opus offers two standard nanowire products optimized for maximum system detection efficiency at 950 nm (>90%) or 1550 nm (>80%). 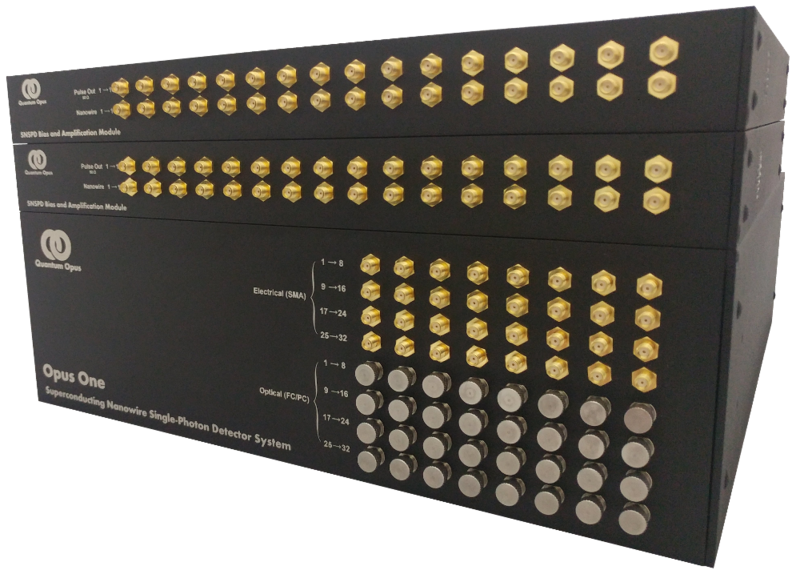 We also customize to any desired customer wavelength, including very broad response devices maintaining > 50% efficiency over 100’s of nm of bandwidth and also mid-infrared devices. These devices can also be purchased individually, and integrated into third-party cryogenic systems with base temperatures < 2.5 K.
Superconducting nanowire single-photon detectors require stable electronic biasing and low-noise amplification. 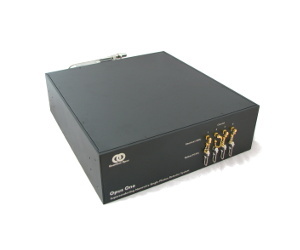 Quantum Opus offers the QO-SIM module which integrates the biasing and amplification circuitry into the Stanford Research System SIM900 laboratory mainframe for power and serial control. QO-SIM modules also allow for push-button operation of the nanowires from the mainframe itself. 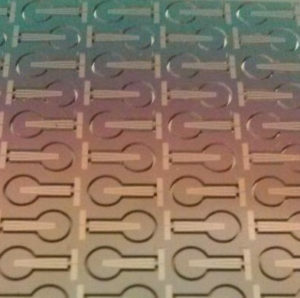 Quantum Opus offers custom engineering solutions for nanowire response (custom-tuned center wavelengths and bandwidths), mid-infrared photon counting, custom cryogenic systems, and integration with waveguides and photonic chips.